As we plan out our career paths, we expect to apply for many, many jobs, move companies, earn raises, and receive promotions—all of which reflect a career with an upward trajectory. And although we would prefer not to think about it, we can even anticipate that at some point we will encounter a detour or two in the form of layoffs or terminations. Luckily, once the sting of being unemployed subsides, these detours can be often chalked up as “learning experiences” or even “the perfect opportunity to find something better”. Another detour, one that is rarely discussed, is being demoted. This specific detour requires you to backtrack your career while remaining at the same company that demoted you; ultimately leaving you with an important decision to make. Do you stay or do you dust off your resume? Although we don’t seem to hear much about demotions (probably due to the demoralizing nature of being asked to take a step back while watching your coworkers move up the ranks), more than 1 in 10 employees have been demoted at some point during their career according to a survey conducted by OfficeTeam. In addition, 46% of companies have demoted employees in the past, making it more common than many of us previously thought. As a relatively common occurrence, it is important that you know how to handle being asked to step down from your current position for a lesser title. Take some time: Although your first reaction will likely be to quit like 52% of your fellow demoted employees, take a deep breath and take some time before making any career altering decisions. Give yourself the opportunity to discover if the new role is a good fit (or possibly better fit) for you, or if it is time for you to start applying elsewhere. Stay professional: Rather than running to your coworker’s desk to vent your frustrations, remind yourself that water cooler talk spreads quickly and any rant about the company, manager or your demotion is sure to make its way around the office in no time. Instead, save your ranting and raving for after hours and be more like the 50% of demoted employees that tried to handle the situation gracefully. Ask for feedback: Wait until you are calm and your emotions are in check to request feedback. Asking for feedback on the spot is a mistake as chances are that you are not ready to receive it. However, with 39% of demotions attributed to poor performance, it is necessary to know what areas of your performance are lacking and led to your demotion. Was it not the right personality fit? Were your skills lacking in a specific area? What do you need to do to gain your employer’s confidence moving forward? Give it your best shot: OfficeTeam reported that 41% of demoted employees focused on excelling in the new position—follow their lead. Although your bruised ego may threaten to tank your interest and productivity, it is important to give the new role a real shot. Don’t simply go through the motions, try to master the role and show your employers that you are capable of more. And remember that if you are not able to meet their expectations in the demoted role, they will likely fire you altogether. Make decisions: Once you are confident that you have acted professionally and given the new role your all, make your final decision. Are you happy in the new role? Do you see yourself working at the company in the future? You may be surprised with your level of job satisfaction after receiving a demotion. However, if you are miserable, start quietly looking for a new job. Continue working hard (and proving that you are a valuable employee) and make sure you don’t quit before you have another job lined up. Although being demoted is an unfortunate detour on your road to retirement, it is not the end of your career. 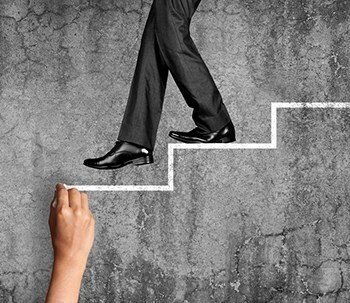 Follow the steps above to keep moving forward after a demotion.